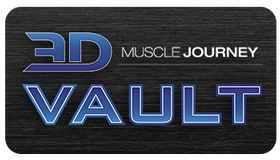 One of the biggest misnomers in the fitness community today, is that IIFYM or “If it fits your macros” is synonymous with the term “flexible dieting”. While tracking macros can be a form of flexible dieting, this isn’t always the case. In today’s episode, Andrea, Eric and Alberto discuss the current state of nutrition within the health and fitness community. They discuss the concepts of flexibility, habituation, approaching things like an experiment and how to transition beyond the stage of counting macros to a stage termed “adaptive intuitive eating”. Along with covering these nutritional topics for how they relate to the average physique athlete, the group also touch on how some of these different concepts apply to the general population. 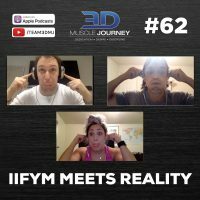 Join us this week for 3DMJ Podcast Episode #62: IIFYM Meets Reality.